Many UK cities have a Piccadilly. 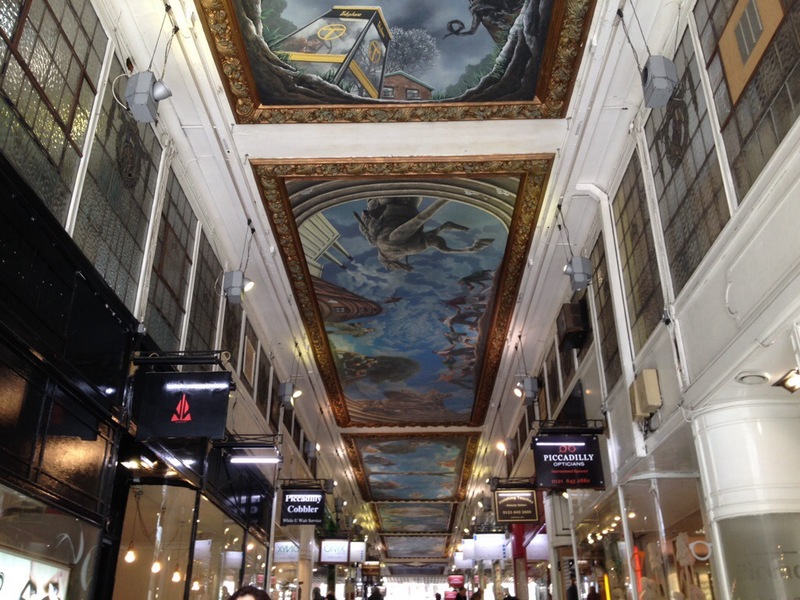 Everyone’s heard of London’s Piccadilly Circus and Manchester’s Piccadilly station, but Birmingham has the best – Piccadilly Arcade, with its magical ceiling artwork. Categories: Recreation | Tags: A Life in the Year of they Chinchillas, art, Birmingham, Paul Maxwell, Piccadilly Arcade | Permalink.